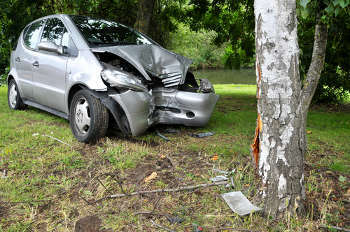 Millions of drivers could see insurance premiums rise by more than 10% following a Government decision to change the way personal injury compensation is calculated. The decision by Lord Chancellor Liz Truss to cut the ‘Ogden’ discount rate was described as ‘bizarre’ by the RAC and ‘crazy’ by the Association of British Insurers (ABI). RAC Insurance director Mark Godfrey said the move would increase the compensation awarded in every case of life-changing injury and, combined with 2% added to insurance premium tax in June ‘means that motorists are likely to see their premiums increase by 10%'. 'Some parts of the market, notably younger and older drivers, may see substantially higher increases,' he added. ABI director deneral Huw Evans said: ‘Cutting the discount rate to -0.75% from 2.5% is a crazy decision by Liz Truss. The change to the discount rate followed recent low rates of interest on index linked gilts, the type of no risk investment in which compensation payments are expected to be invested. In a statement, Ms Truss said that her decision had followed a ‘lengthy, and extraordinarily thorough’ review.